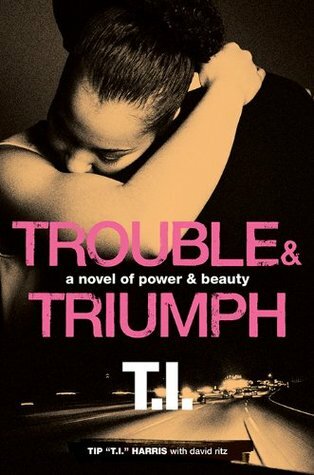 Reading 📖 Trouble & Triumph by T.I… Book 1 had me itching for part 2 lol. Will hurry up and put out book 3. Also, I’m upset because I want to know if Beauty sister got killed. I’m like why she invited her sister and going to leave her she’s blind but smart. I wish she didn’t attend the wedding with the explosion. Also, I do wonder if Power bride to be or Beauty husband got killed. And I hope in the next book Slim dies because he is a headache, and pain in everybody ***. He’s crazy as you know what and people are sitting trusting that fool once again. And Rashaun or Rashad or whatever is trusting that crazy fool to soon after whole he’s going to die too. Lastly, Beauty always marrying someone for the wrong reason and the person always ends up In a Mob of some sort. And she doesn’t love them and stay running from Power until the end I’m still mad at her for leaving her sister. Grammy Award-winning hip-hop artist, producer, and actor T.I. proved himself a powerful storyteller as well with the publication of his debut novel Power & Beauty. Now he follows up with his second riveting street-lit epic, Trouble & Triumph. 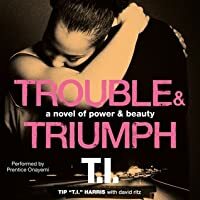 T.I.’s explosive sequel picks up the story of Paul “Power” Clay and Tanya “Beauty” Long, as Power takes over his mentor-turned-arch-enemy’s street empire, looking to turn it legit, while Beauty rises ever-higher in a glamorous world of fashion and celebrity. An authentic voice of the street, in the vein of Sistah Souljah and other successful authors of contemporary African-American commercial fiction, T.I. is a rap music legend who has lived at every strata of society, and whose hard life experience adds truth and fire to Trouble & Triumph.